CFC Academy, a state certified educational facility located in Creedmoor, North Carolina, was founded in 1989. CFC Academy serves students from Kindergarten through 12th grade. 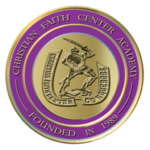 By effectively using a Christian- based curriculum and a host of other unique educational approaches, CFC Academy has been able to provide students with essential educational fundamentals, moral character development and overall tools necessary for success. Recognized nationally by the US Senate and Congress for its unique approach to education, CFC Academy has served students from the surrounding counties of Granville, Wake, Durham, Orange, Vance, Warren, as well as abroad. CFC Academy graduates have been accepted to some of the nations top universities such as: UNC Chapel Hill, John Hopkins, University of Virginia, Seton Hall, Berkley School of Music, University of Texas, N.C. State, Virginia Tech, Howard and others. The Academy truly believes that all students, regardless of their financial status, should be afforded the opportunity to take advantage of its unique educational program. CFC Academy is committed to Academic Excellence and service to the community. See what people are saying about CFC Academy. As a new family to CFCA, we were a little nervous about what to expect for our son. He had been in public school his entire life and this was a new world for all of us. But those fears were quickly laid to rest. From our very first meeting, every administrator, teacher, and staff member could not have been more kind. They were supportive, flexible, and compassionate. And six months later, we couldn’t be happier. So there’s a million reasons why we love this gem of a school. The teachers are passionate about kids and understand the importance of educating the whole child. They share our family values and nurture him in biblical truth. But most importantly, they prove that God’s word is more than just talk. They bring HIS teachings to life and deliver it through real acts of grace, love, forgiveness, and accountability. Our only regret is not enrolling him years ago. I attended the school for seven years and I can honestly feel that it was the best environment for me to matriculate through my academic career. The small class sizes allow you to really get a one on one style of learning with each instructor. Having the school founded on biblical principles, you do not have a lot of distractions going on that you do in public school. Kids can go to school and feel safe everyday. 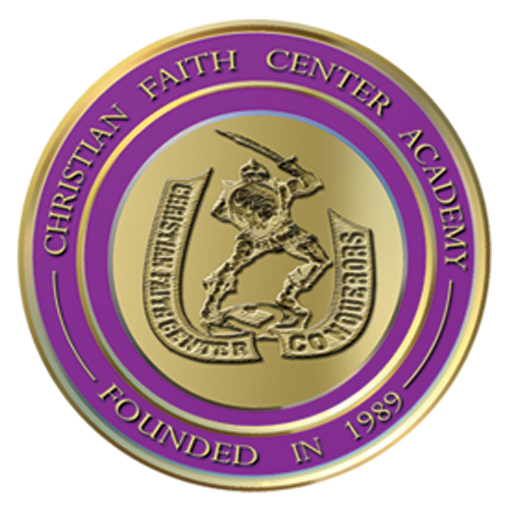 As a Former Alumni, Christian Faith Center Academy has so aptly prepared me for life that I am eager to experience it. Not only does it provide an extraordinary educational experience for everyone, CFCA is also known for its wonderful spiritual environment. It will exercise your mind and your spirit. I give this school 5 stars for producing students of Christian character and academic excellence to positively impact the world. I am a parent of a child who attends CFCA, I must say, in the short time my daughter has attended the Academy she has really bloomed! Her love for school has grown, as well as her love for the LORD! We have been truly blessed by all the staff and their continued efforts to make our daughter feel welcomed and accepted! The Lord has guided us every step of the way and helped us to make the right choice to switch her from public school to private.